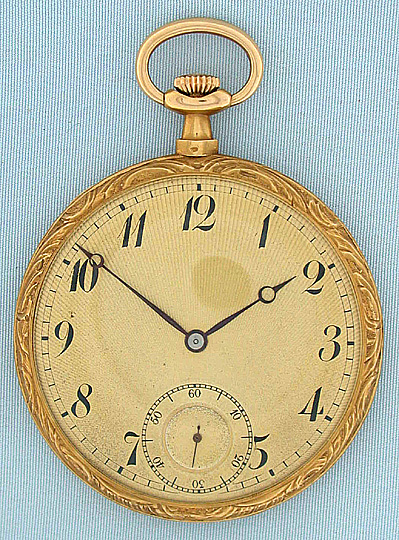 Fine Swiss ultra flat very fancy 18K gold gentleman's antique pocket watch circa 1910. 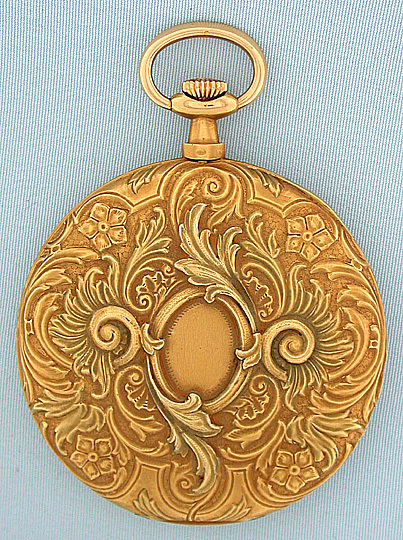 The substantial cast case with a design of flowers and foliage in raised relief with matching bezel. Sunburst dial (camera reflection) with bold arabic numerals and blued steel Breguet hands. 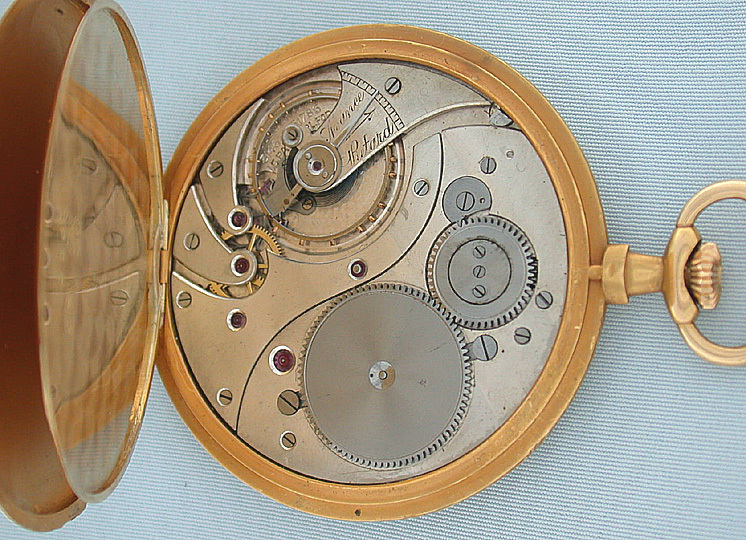 Fine nickel 17 jewel movement. A most decorative and elegant watch in immaculate condition throughout.